Want spooky chuckles? Look no further: this funny picture book is going to rock you! There’s nothing cooler than a live rock band with loads of loud guitars, right? Now the Mystery Inc gang are at a concert by the band Electric Pickle. 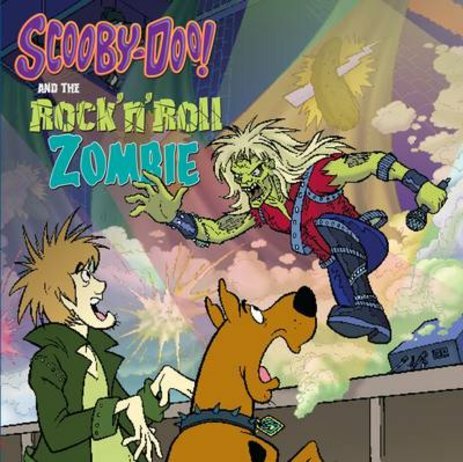 It’s great – until the singer vanishes in a puff of smoke and turns into a zombie. Zoinks! Now he looks even older and more wrinkly than your parents’ favourite rock stars. (Plus he wants to eat you.) This guy needs to rock on back to the grave!